A Department of Energy (Genomic Science Program)-funded interdisciplinary project. Department of Energy, Joint Genome Institute (JGI), features Ohio State PhD student Gary Trubl’s PhD research and summer fellowship at JGI in “At the Forefront of Terrestrial Virus Research”. September 25, 2018. Nature Podcast: DNA scaffolds, climate-altering microbes, and a robot chemist highlights University of Queensland researcher Dr. Benjamin Woodcroft and Caitlin Singleton’s recent publication in Nature. Listen to Benjamin and Caitlin Singleton (7:40-13:19 min) discuss their work. July 18, 2018. University of Queensland News: “Thawing permafrost microbiomes fuel climate change” features Dr. Benjamin Woodcroft and Caitlin Singleton’s Nature publication. Dr. Woodcroft is a researcher working with Professor Gene Tyson, Deputy Director- Australian Centre for Ecogenomics, at the University of Queensland. Ohio State News features Dr. Virginia Rich and highlights 3 recent publications from Isogenie’s collaborative research in Abisko, Sweden in “Getting to know the microbes that drive climate change”. Publications are in Nature, Nature Microbiology, and ISME Journal. July 16, 2018. Isogenie field crew preparing to process a core. July 23, 1018. Timelapse video of Isogenie field crew processing a Fen core. July 23, 2018. Isogenie field crew getting wet (with the help of Dr. Jessica Ernakovich) with the Wardenaar corer. July 23, 2018. Timelapse video of Isogenie field crew processing a beautiful core. July 23, 2018. Isogenie field crew processing lake cores. July 23, 2018. SvenskPolarforskning checking out Isogenie for the day. “Oh It’s so beautiful! And stinky”. July 26, 2018. Ohio State University’s student newspaper, The Lantern, features Dr. Virginia Rich in “Ohio State scientist aims to reinforce women’s leadership in STEM”. February 8, 2017. Ohio State University College of Arts and Sciences new article “Microbiologist Leads Climate Change Study” featuring IsoGenie’s Dr. Virginia Rich. November 1, 2016. University of Arizona News article “‘Microbial Pac-Man’ May Soon Hit ‘Game Over'” features some members of the IsoGenie team including UA undergraduate Rose Vining and UA doctoral student Moira Hough. October 10, 2016. 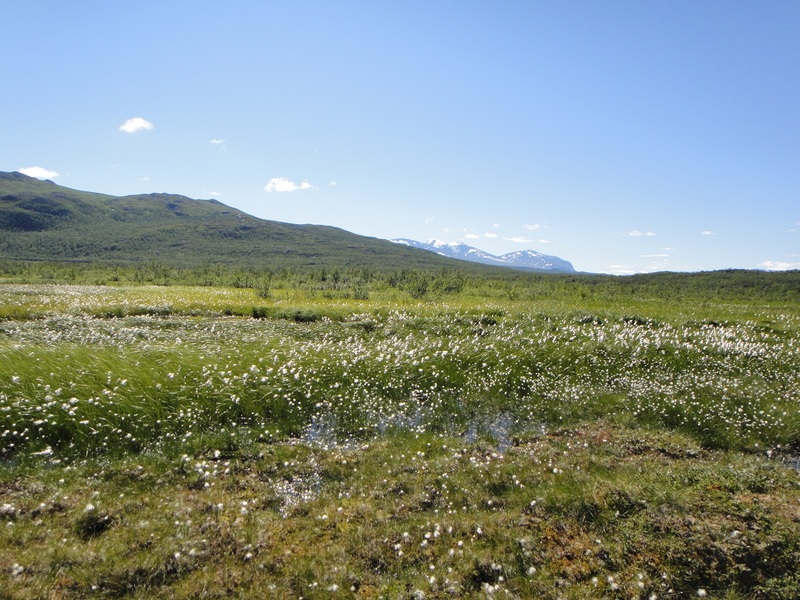 Sveriges Radio 20-minute program, “Life on the bog,” interviews some members of the 2016 IsoGenie field including Moira Hough (University of Arizona) who explains field sampling techniques and the project’s research interests. Related article, “Microorganisms on the marshes can provide answers on emissions,” aired on the station’s morning news. September 13, 2016. Tucson’s local radio station, KXCI, featured Darya Anderson on Thesis Thursdays where she talks about her undergraduate research on climate change conducted with the Rich Lab in Abisko, Sweden. January 29, 2015. “What happens if the permafrost disappears? If the Arctic permafrost thaws, the results could be catastrophic.” Ben Woodcroft (University of Queensland) and Suzanne Hodgkins (Florida State University) in Cosmos Magazine. December 14, 2015. UBRP Gazette with undergraduate student Darya Anderson talking about her experience at American Geophysical Union Conference. January 3, 2015. ARCTIC: Newly discovered microbe appears to be key player with methane emissions. Christa Marshall, E&E reporter Published: Friday, October 24, 2014. Meet the mysterious microbes fueling global warming. Justin Wm. Moyer, Washington Post, October 24, 2014. 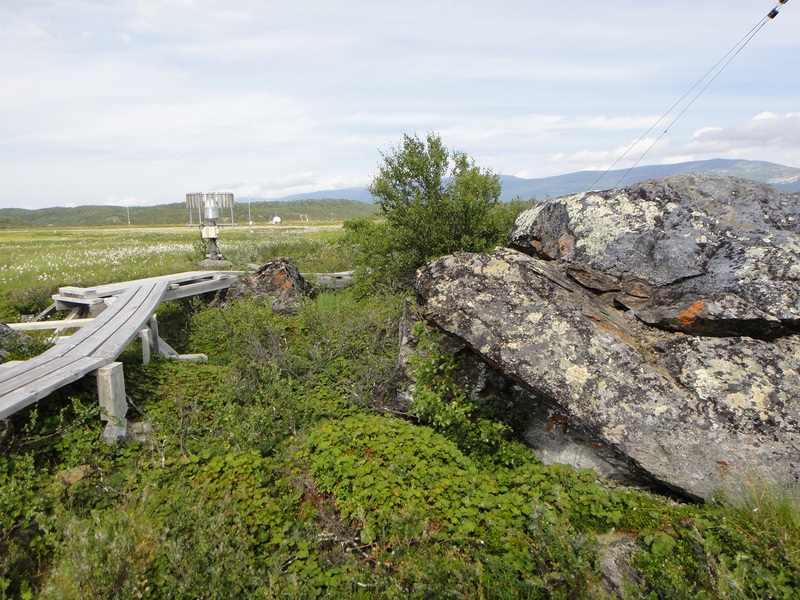 UANews Press release on Methane dynamics regulated by microbial community response to permafrost thaw, Nature, 2014. This publication, McCalley et al., reports on work done on a thawing project with our Australian, Swedish, and Floridian collaborators. September 23, 2013. Ocean heats up as climate steadies, The Daily UA Wildcat interview with Dr. Virginia Rich and PhD student Gary Trubl featuring the Rich Lab’s our work on climate change. October 16, 2014. Permafrost soils Could Contribute to Global Warming, Arizona Illustrated (on Arizona Public Media), interview with PI Virginia Rich on our project on thawing permafrost microbiology and carbon cycling. May 7, 2014. Discovery of Microbe Hiding in Permafrost Raises Concerns About Future, Scientists have discovered a type of methane-producing microbe bloomin as permafrost in soils that are thawing due to a warming planet. Daniel Stolte, UA Communications, March 6, 2014. 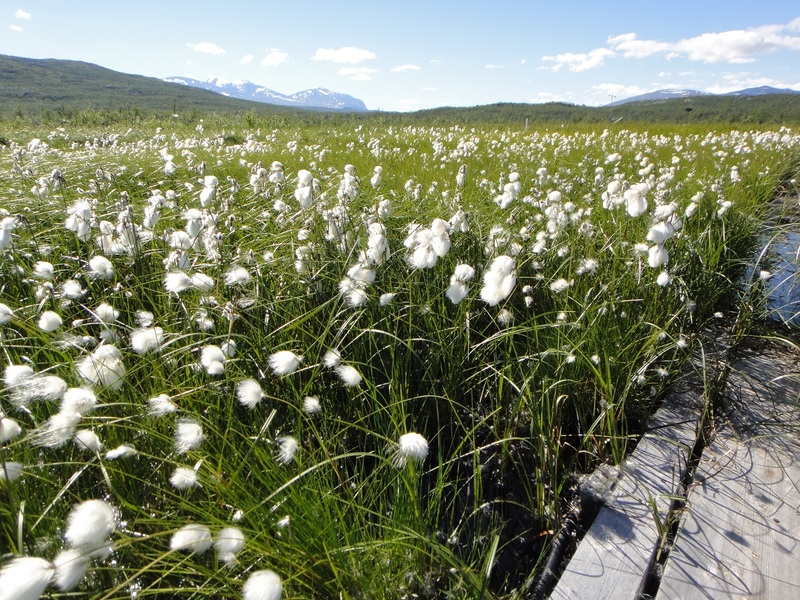 This article in the UANews highlights an article published in Nature Communications , led by collaborating Tyson Lab, that describes the discovery of a novel and highly active methanogen (Candidatus Methanoflorens) in thawing permafrost systems. Univerisity of Queensland Press release, Newly discovered microbe holds key to global warming, on Tyson Lab Nature Communications publication. February 19, 2014. Collaborator Gene Tyson talks about his University in a video about his work, which also highlights our Sweden field sight. 2013.